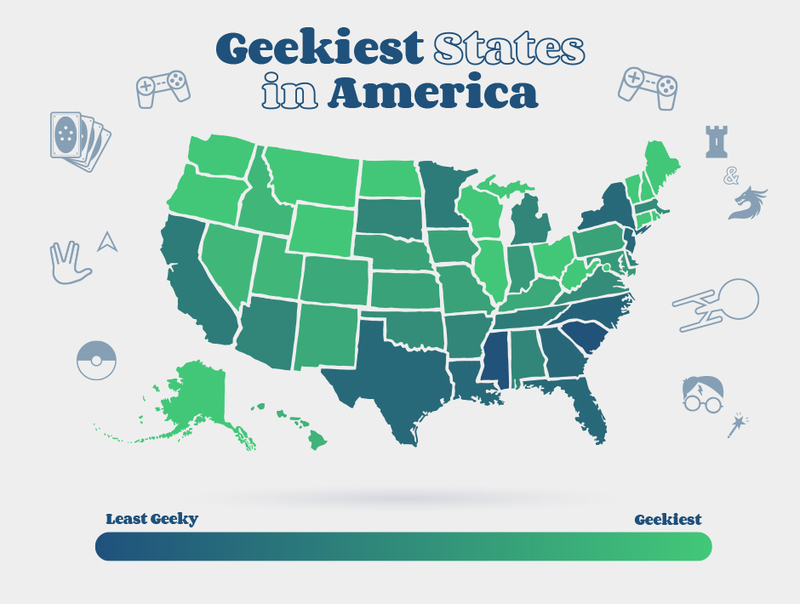 If you’ve ever LARPed in the park, chased Pikachu with herds of strangers playing Pokémon Go, or watched every episode of Star Wars in Machete Order, congratulations: you’re one of the many geeks across the United States. 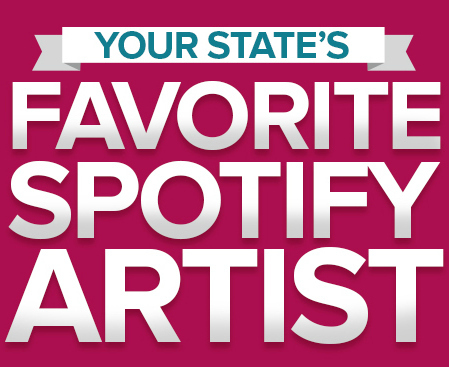 But just how nerdy is your home state? Several key factors determine “nerdiness”: the number of pop culture conventions and comic book stores per capita, access to high speed internet, and interest in Star Trek, Magic the Gathering, Game of Thrones, and other popular “Geek Culture”. If you feel like where you live is especially weird, your state might just be one of the nerdiest in America. And if you can’t beat ‘em, it might be time to join ‘em. These are the states we predict you’ll find full on quidditch battles in your local park, daily D&D marathons, and people who spend more on Cosplay than Christmas. 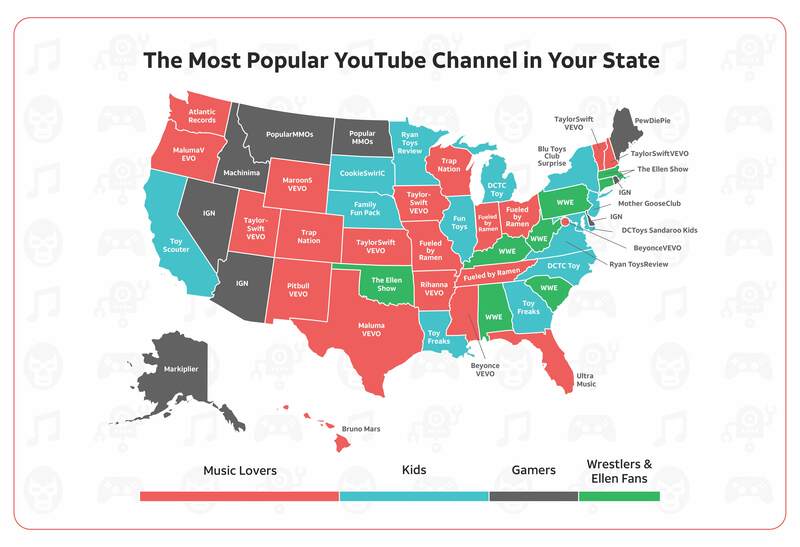 New Hampshire topped our list overall as the nerdiest state, and they can’t get enough of Game of Thrones. Curious to know what all the hype is about? Catch up on all latest episodes on DIRECTV (and fair warning, don’t get too attached to any of the characters). Perhaps because there are more salmon in the state than people, Alaska is a nerd haven. Star Trek, Star Wars, Magic the Gathering, Anime, Game of Thrones—you name it, Alaskans are into it. The East Coast ranks high as well, and with so many Ivy League schools, that’s hardly surprising. With a lack of conventions and local places to get your comic book fix, residents in these states might have to turn to the internet. Unfortunately, even high speed internet is scarce in these southern states. If you insist on wearing your invisibility cloak in public, we recommend you avoid the deep South if you’d rather not be punched in the face. How’d We get Our Data? Geeky Interest Rank—interest in Anime, Cosplay, Lord of the Rings, Magic the Gathering, Harry Potter, etc. We then combined each indicator and weighted each metric to reach the overall score to determine which nerd states reign supreme. Wherever you’re from, live long and prosper, nerdy friends. And may the force be with you.